This Bothell customer was extremely tired of the lack of street appeal. She had a lovely home on the inside and wanted the outside to match. 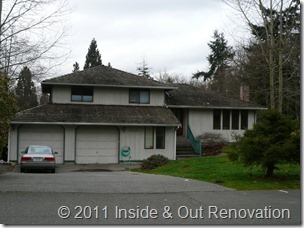 We suggested adding shake above the garage to offset the two windows and liven up the front. 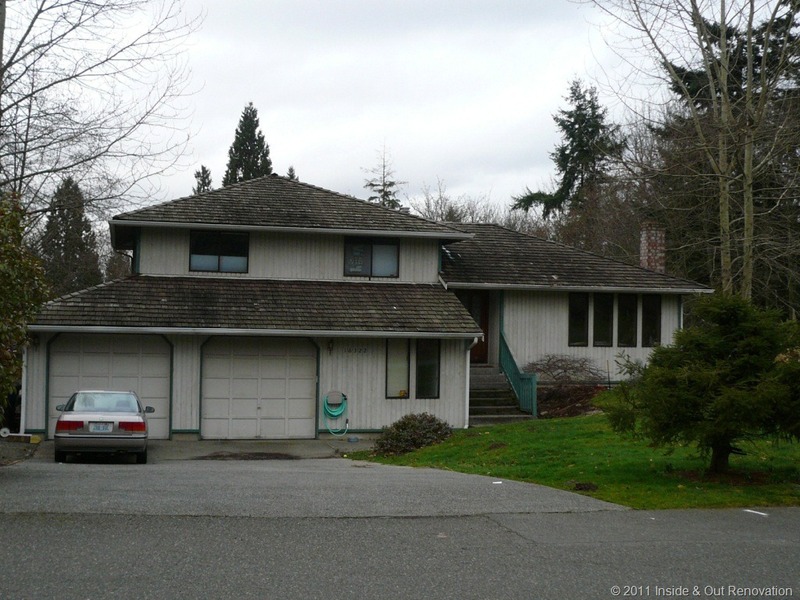 Second the living room window was centered on the wall, new high efficiency windows were installed throughout, new garage doors were installed that had a craftsman theme and all openings were trimmed in a craftsman style. Third the vertical siding was replaced with horizontal cedar siding to match the rest of the house. 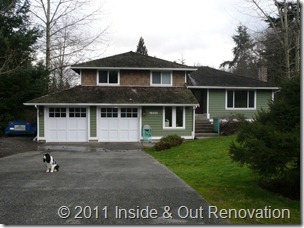 The finishing touch to the home reface was to paint the whole house and trim.